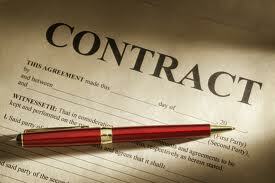 Contract is an agreement enforceable by law. Between two or more parties for the doing or not doing of something specified.Contracts can also be classified according to performance. A contract can be either executed or executor. An executed contract—is where one party has performed all that is required to be done according to the contract. For example, Alan delivers one tonne of wood to Brian. Alan has performed his part of the contract, now it remains for Brian to pay the price. An executor contract—This is a contract where both parties still have obligations to perform under the contract. Express contract: Express contract is one which expressed in words spoken or written. When such a contract is formal, there is no difficulty in understanding the rights and obligations of the parties. Implied contract: The condition of an implied contract is to be understood form the acts, the contract of the parties or the course of dealing between them. Quasi contract: There are certain dealings which are not contracts strictly, though the parties act as if there is a contract. 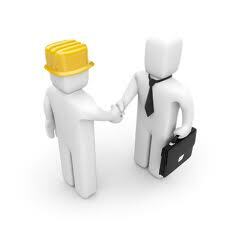 The contract Act specifies the various situations which come within what is called Quasi contract. Executed Contract: There are contracts where the parties perform their obligations immediately, as soon as the contract is formed. Executory Contract: In this contract the obligations of the parties are to be performed at a later time. Bilateral Contract: There must be at last two parties to the contract. Therefore all contracts are bilateral or multilateral. Unilateral Contract: In certain contracts one party has to fulfill his obligations where as the other party has already performed his obligations. Such a contract is called unilateral contract. Formal contract: A formal contract is a contract which is formatted by satisfied all the essentials formalities of a contract. Informal contract: An informal contract is a contract which is failed to satisfy all or any of the essentials formalities of a contract. Valid Contract: An agreement which satisfied all the essential of a contract and which is enforceable through the court is called valid contract. Void Agreement: An agreement which is failed to satisfied all or any of the essential element of a contract and which is not enforceable by the court is called void agreement. An agreement not enforceable by law is said to be void. A void agreement has no legal fact. It confers no right on any person and created no obligation. Example: An agreement made by a minor. Void able Contract: An agreement which is enforceable by law at the open of one or more parties of the contract but not at the open of the other or others is a void able contract. A void able contract is one which can be avoided and satisfied by some of the parties to it. Until it is avoided, it is a good contract. Example: contracts brought about by coercion or undue influence or misrepresentation or fraud. Unenforceable Agreement: An Unenforceable Agreement is one which cannot be enforcing in a court for its technical and formal defect. Example: (1) An agreement required by law to register but not resisted. (2) An agreement with not satisfied stamped. Illegal Agreement: An illegal agreement is one which is against a law enforcing in Bangladesh. Example: An agreement to compiled madder. What is Project Meeting Agenda?